Forty South Publishing and the Tasmanian Association for the Teaching of English (TATE) are proud to announce the winners of the Young Tasmanian Writers’ Prize 2016 as judged by Cameron Hindrum (Senior Section), Penny Lane (Junior Section – preliminary judge) and Dr Anne Morgan (Junior Section – final judge). The winner of each section receives $300 and publication in Issue 83 of Tasmania 40° South magazine (the 2016 December edition). The winners’ schools will each receive a year’s subscription to Tasmania 40° South. Runners-up each receive a $30 Fullers Bookshop gift voucher and all finalists receive a certificate. We are pleased to announce a new award for the Junior Section of the competition, the Peter Sharp Memorial Award. Created by Penny Lane, this award celebrates a man who loved writing and reading, and who would have thoroughly enjoyed the stories submitted this year. The award, generously donated by Penny, is worth $100 and has been awarded to Lilith Cole from Taroona High School. In addition, the Tasmanian Writers’ Centre, has awarded free one-year memberships to the winner and runners-up in each section. The Tasmanian Writers’ Centre and Forty South Publishing are hosting an event on December 1, 2016 at the Founders Room, Salamanca Arts Centre, to celebrate the Tasmanian Young Writers’ Program. As part of the event, some finalists from the Young Tasmanian Writers’ Prize 2016 will be invited to present a reading. We hope all entrants will join us, so please put the date in your diary now. We will contact you closer to the date with further information. The following list will be published in Issue 83 of Tasmania 40° South magazine. Congratulations to all entrants in this year’s Young Tasmanian Writers’ Prize and many thanks for our judges, Cameron Hindrum, Anne Morgan and Penny Lane, for their input into the competition. Image supplied by Matthew Preston, Elizabeth College. 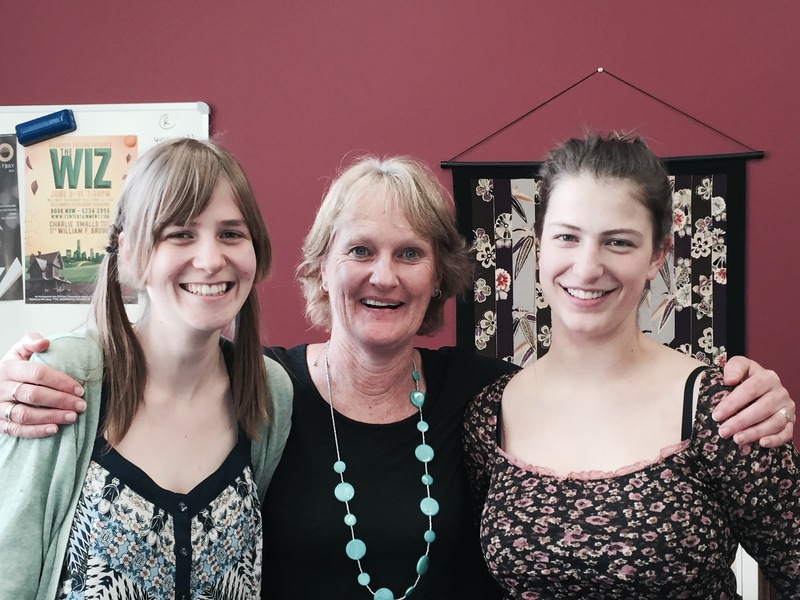 Shows Amber (left) and Zoe with principal Dianne Purnell.